Nationally, the Innocence Projects have handed the police over 100 DNA profiles of ‘strong’ suspects uncovered by IP exoneration litigation. No one in the LEO industry does much about followup, according to this article. LEOs and DAs take the low and easy road by mostly whining about the IP and its affiliated Network being self serving and a pack of uber-liberals. 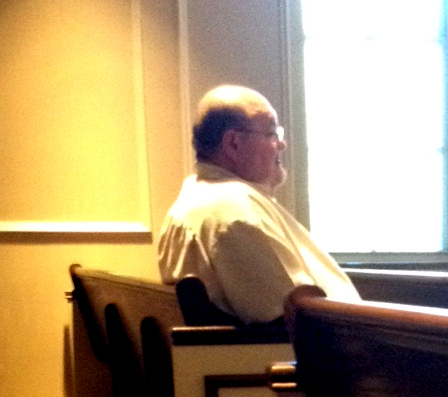 Michael West, notorious for putting multiple innocents in MS prisons, says it is those “New York Jews” who are making it impossible for him to practice his innovative brand of forensic “justice.” Here is the “good doctor” attending MS court last year, where he defended his “stellar’ reputation as a forensic science guru. 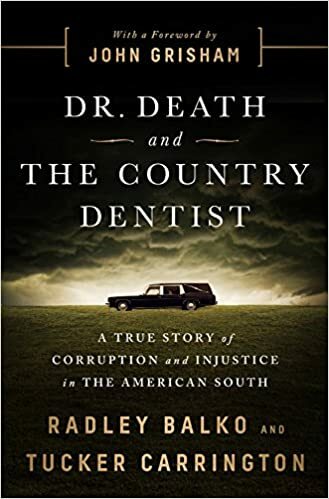 All about West, who is the “Country Dentist”, and Steve Hayne, aka “Dr Death,” will be out next February 2018 from Balko, Carrington, and Grisham. (Click the top image or go here). This entry was posted in forensic science reform protecting the innocent and tagged Bad forensic science, DNA profiling, forensic examiner error, innocence project, Miscarriage of justice, prosecutorial misconduct, wrongful convictions. Bookmark the permalink.